All the Tour Operators and Travel Companies below offer Package Holidays to either Puerto Pollensa, Pollensa or Cala San Vicente in Majorca (Mallorca). For specific details on the hotels or self-catering apartments they feature, click on Hotels & Aparthotels. Most of the larger operators have children's clubs. Refer to their web sites for details. Jet2holidays.com is a leading ATOL bonded holiday provider based in the North of England specialising in holidays and flying to Palma, Majorca with its sister airline Jet2.com - Belfast, Blackpool, East Midlands, Edinburgh, Glasgow, Leeds Bradford, Manchester and Newcastle. Jet2holidays.com is able to offer fantastic prices, with inspiring holidays, Jet2holidays.com truly does have something for everyone! Club Pollentia (Hotel) - BB, HB, FB or AI - you choose! First Choice - The Home of All Inclusive. We know holidays are more relaxing when everything’s sorted before you go. That’s why ALL our holidays include flights, transfers, three meals a day and local drinks as part of the deal. All Inclusive makes budgeting really easy – so you can relax knowing you don’t need to worry about stumping up for unexpected extras whilst you’re away. So treat yourself. Have fun. Enjoy spending time with family and friends. Tui offers access to great value holidays in Majorca, direct from the UK's No1 supplier of air inclusive package holidays. With the widest range of holidays available, all linked to the most punctual charter airline, you are bound to find the perfect holiday. More satisfied holidaymakers come back to Tui than any other holiday company - why choose anybody else? Illa D'Or (Hotel) - see the Video! Maricel (Apartments) - Small & Friendly! Puerto Azul Suite Hotel (Hotel) - see the Video! Thomas Cook has access to over 13 million holidays across the UK’s leading tour operating brands including: Thomas Cook, Airtours and Neilson. Club Pollentia (Hotel) - AI or HB - see the Video! Pollensa Park Hotel & Spa (Hotel) - HB or FB - see the Video! These companies specialise in self-catering villas or apartments in Mallorca (Majorca). The accommodation is often privately owned. Although these operators can arrange flights, car hire etc. you have the option to arrange your own. Prices are usually per villa/apartment per week. We have specialised in Puerto Pollensa holidays for over 40 years. Our apartments are handpicked, being thoroughly vetted to meet our demanding standards, constantly being upgraded. Most properties are privately owned, owner's second home, with all modern expected facilities. Our rental prices, we believe are considerably less than other similar properties, in the off season. Long stay winter rentals can be inexpensive offering great value. Many of our clients are regular customers returning annually to the same property. Registrations are often made almost a year in advance to ensure the same property is available. Many guests treat their apartment as a second home. Booking early generally allows the benefit of much cheaper flights, whereas booking flights late can be expensive. The most popular and known as the best area in Puerto Pollensa, is the Pinewalk area where we have apartments in Bellresguard, possibly the most and other areas a stone throw from the famous beach. It has been said Puerto Pollensa has the highest repeat business in Europe and this may well be true. By renting one of our apartments, booking flights direct with a low cost airline and booking a a shuttle bus can often result in huge savings rather than book a complete package. Sealand Villas is Mallorca’s best loved villa holiday specialist offering over 100 villas with private pools. The majority of properties are located in the beautiful northern region of Mallorca – in and around the resort of Puerto Pollensa and old town Pollensa. More villas are also available in Cala d’Or in the south of the island. If you’re looking for a villa with sea views, a holiday base that’s within walking distance to the town or beach or a property in a more rural setting, then you’re sure to find it with Sealand Villas. Our programme features villas of all sizes and styles, ranging from small villas ideal for a couple to larger farmhouses suitable for families or large groups. The small and friendly Sealand Villas team offer a truly personal service and have visited each of the villas and are therefore able to offer helpful advice on each of the properties. Prices start from only £575 per week and unlike some villa operators Sealand Villas aim to include as much as possible within the price. All holidays come with a free hire car as well as a food pack, cleaning service and the full support of English speaking experienced in-resort representatives. With over 20 years of trading you can book your holiday with Sealand Villas with complete confidence backed up by both ABTA and ATOL protection. Sign up to our news and offers newsletter or browse the latest special offers. Private detached villas, all with private pools. Personally selected and within walking distance of shops and restaurants, most less than a mile to the beach. Properties range from traditional style houses offering peace and privacy in the countryside, to luxury villas with breathtaking coastal views. We will do everything we can to find the type of property that will best suit your requirements and you can be sure of our prompt and personalized attention at all times by the staff in the UK and local representatives in resort. Visit our website for real time LIVE availability on Accommodation and flights. You can also view and book car hire and holiday insurance. Thomson Villas with Pools offers a vast range of accommodation from one-bedroom apartments to seven-bedroom villas, and from beachfront locations and centrally-located properties easily accessible to local bars and restaurants, to secluded, remote villas, located off the beaten track, away from the hustle and bustle of the more commercialised resorts. Many villas offer stunning views of the surrounding areas and sweeping coastlines. Whatever your choice, there is something for everyone. Thomson have an extensive number of fabulous villas with pools in the countryside around Pollensa . Travelopo is Mallorca's largest holiday rentals agency. Offering the most comprehensive portfolio of professionally maintained rental properties on the island. We pride ourselves on our good reputation and unrivalled levels of customer service. With an enthusiastic, knowledgeable team, dedicated in doing all we can to ensure your holiday is especially memorable. How about a great Puerto Pollensa villa holiday at great value too? We've thought of all the free added extras so you don’t have to! We have over 70 Villas in Puerto Pollensa and we have some fantastic villas nearby in Pollensa Old Town, Cala san Vincente, Alcudia, and Cala D'or. You can book your flights, car hire, transfers and travel insurance with us, we're ABTA bonded and ATOL protected to give you peace of mind, and we also have friendly, experienced in-resort staff should you need them. Our Puerto Pollensa Villas typically include air con, table tennis and pool tables, satellite TV, barbecue, washing machine, maid/linen service and even a dishwasher…all for FREE! We make sure you love it more! For over 30 years Villa Select have been known for a unique and discerning selection of carefully hand-picked villas with individuality, character and style, from traditional rustic villas to high-tech modern luxury villas. Whatever your taste, you can be sure that every villa will offer the peace, privacy and relaxation you expect from a bespoke villa holiday. All villas come with private pools, maid service, generous welcome hamper on your arrival and pool towels for your use. We also offer an in-resort representation service for your peace of mind in resort. Take a look at the Villa Select website for more details, up-to-date availability and online booking service. We can arrange flights for you from the majority of local airports. Our car hire service offers a quick and efficient airport collection and delivery. We have a friendly reservations team with personal knowledge of each of our properties and we’re here to help you choice the perfect villa for you. Our ABTA & ATOL bonding provides you with 100% financial protection. Call 01789 764909 now for more information and bookings. Endless activities can be arranged to keep everyone happy from mountain biking, kite surfing, wind surfing, sailing, power boating, fishing trips, rock climbing, caving. Whether you are looking for a lovely finca in Mallorca, one of the fantastic villas Pollensa has on offer, a luxury apartment near to the beach, we have something to offer everyone. Take a look at our holiday accommodation and if you need any information contact us and we will be happy to help you choose the best hoilday on offer. Now in our 23rd year, Vintage Travel offer you handpicked holiday villas with private pools around the Pollensa area. We can also assist with your travel arrangements, car hire and holiday insurance. Boquer Investments are proud to offer contemporary, high end apartments for holiday rental at the Bergantin development, Carrer Talaia, in the Boquer region of Puerto Pollenca. This development comprises of 21 apartments in total and includes, ground floor apartments with private patio and garden, first floor apartments with terrace balconies (outside dining for 6 people), penthouse apartment with terrace balcony and private roof terrace and “super” penthouse apartments, with two terrace balconies, one very large with external lounge and dining furniture, plus sun loungers and a very large private roof terrace. There is a beautifully landscaped garden area and probably the largest communal pool in the resort, measuring 17 metres by 9 metres. The location is superb, being only 500 metres from the iconic Pine Walk and the sandy beach and a leisurely 10 minute stroll from the town square. For further information and for bookings contact: Mick Miles on +44 (0) 7758 742774 or by e-mail: info@boquerapartments.com. Here at Finishing Touch Holidays we specialise in offering the best villas abroad at unbelievable prices. From stunning Majorca apartments with sea views to villas with gated pools, we have a great selection of quality properties to offer you for your family holiday! Our villas and apartments are situated in and around the Pollensa, Cala San Vicente and Port of Alcudia areas with some great properties to choose from in the popular beach resort of Puerto Pollensa, all in the best beach and country locations Majorca has to offer. All our properties can be viewed online or you can speak to one of our friendly advisors who, with their detailed knowledge of the properties and the areas, can recommend accommodation to exactly suit your needs and also arrange car hire and airport transfers for you if required. We constantly offer special deals for you to take advantage of, so make sure you keep an eye out for these on our special offers page. Finishing Touch Holidays are proud to offer you financial peace of mind as standard when you book with us, in association with International Passenger Protection and Protectmyholiday.com. You can view our full selection of Majorca villas here. 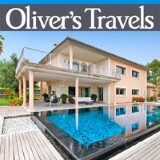 With over ten years of experience in the luxury villa industry, Oliver's Travels has built up one of the most unique and characterful portfolios of holiday homes and villas in Mallorca. Our hand-picked selection showcases the very best the island has to offer, from idyllic rural retreats to grand and gorgeous coastal hideaways that the whole family will enjoy. Leave the high-rise resorts far behind and experience a side of Mallorca that existed long before the invention of the package holiday. Tailor your experience to get exactly the holiday you want - from the size and the style of the villa right down to the services and extras you can enjoy, and often for much less than the price of a hotel room - especially when taking advantage of one of our many special offers . Not only that, we offer unique ways to save money through our VIP area thanks to our reward programmes and partner offers! For the very best selection of luxury villas in Mallorca, head to our website to browse through our full portfolio! And if you don't feel like doing the legwork, our concierge service can take the hassle out of finding your ideal accommodation. alpharooms.com is one of the UK's premier websites for discount hotels and apartments worldwide. On this site you'll find some of the best deals for holiday accommodation and city hotels available anywhere on the Internet. Search for a hotel in Puerto Pollensa today!